SUNWAY is retest RM2.25 support level. Will it rebound? Or break down the support? Immediate resistant would be RM2.32 level. 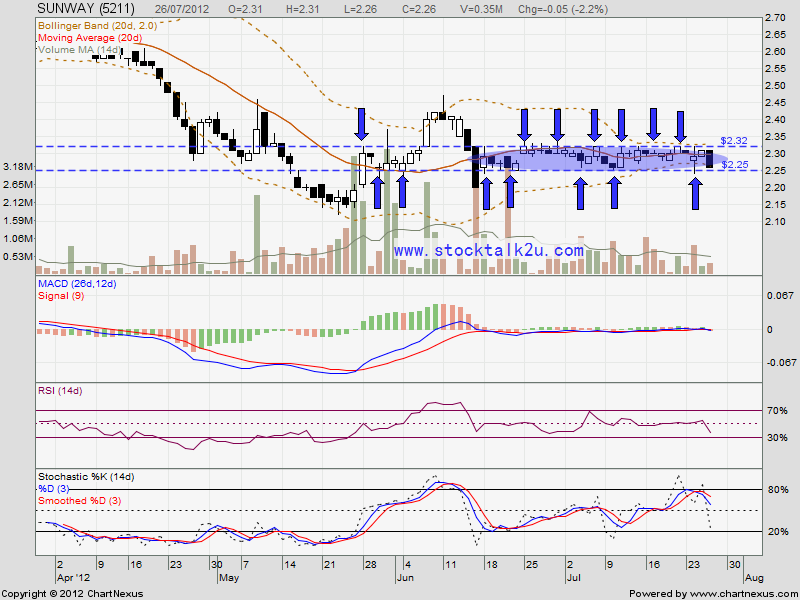 Immediate support would be RM2.25 level. If break down bollinger band squeeze, potential facing high selling pressure.